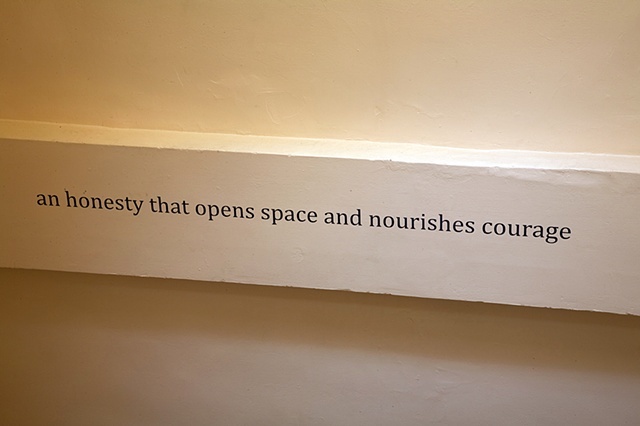 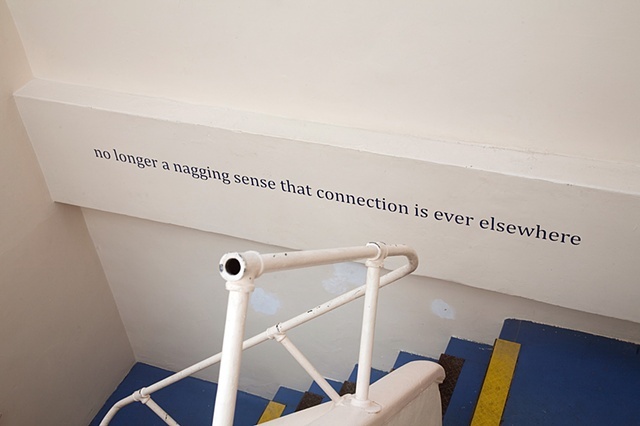 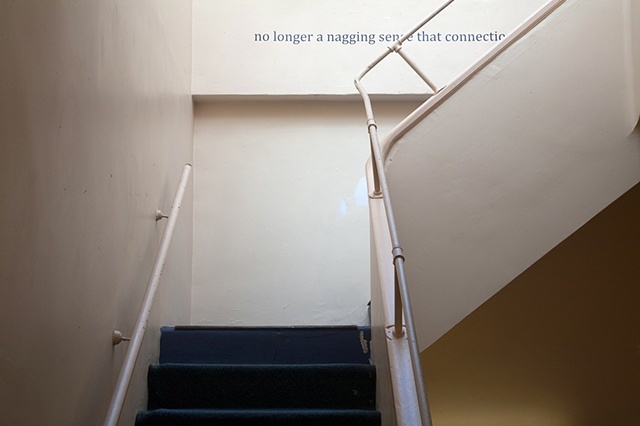 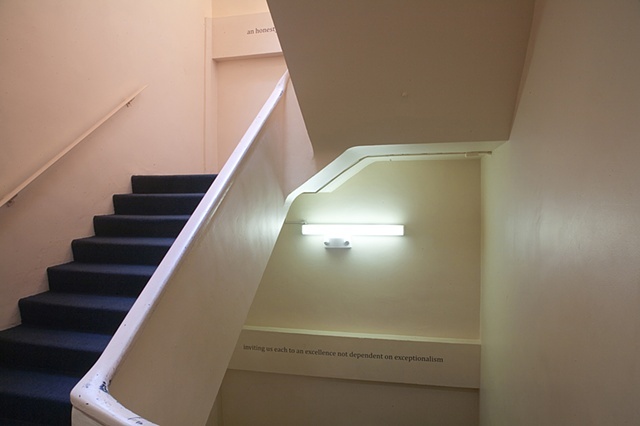 "Reciprocal If Sometimes Still Asymmetrical" was installed in September, 2010 in the main stairwell of the California Institute of Integral Studies (CIIS) in San Francisco, CA. 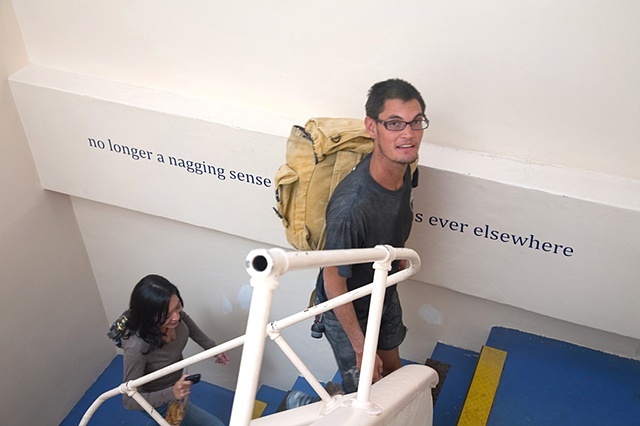 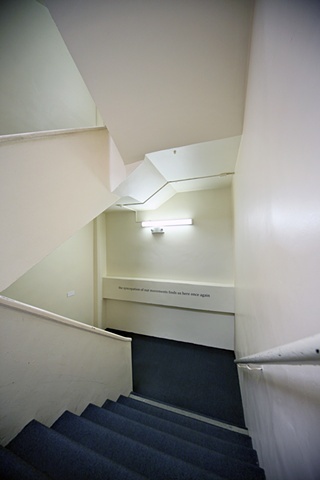 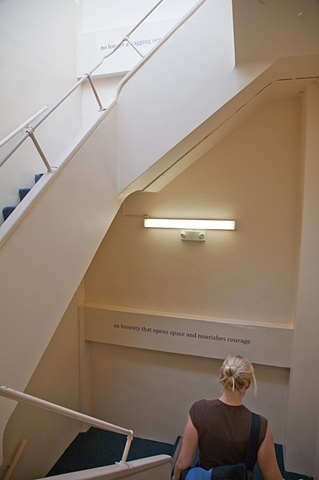 This text intervention took the form of a poem that could be read in either direction while ascending or descending the stairs. 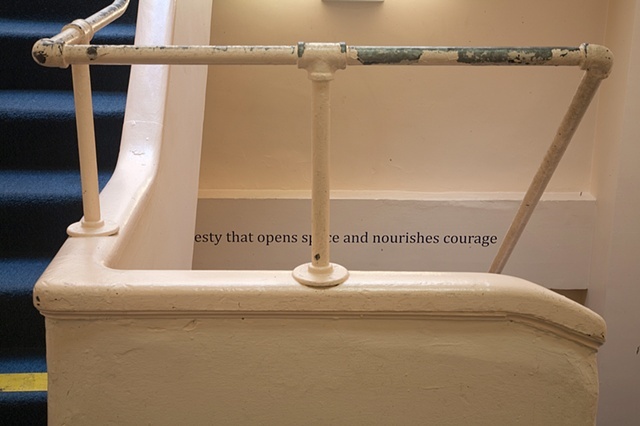 One line of the poem appeared on the landings between each floor.